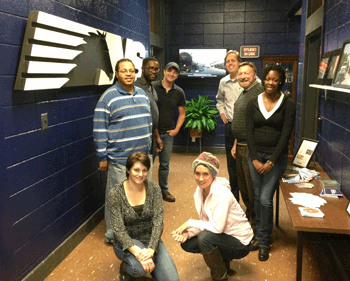 “CatDV has become a multi-faceted tool that can be likened to a one-stop footage-shop” Pamela Tripp, who handles digital asset management and media library duties for Norfolk Southern. Norfolk Southern (www.nscorp.com) is a premier US freight rail transportation company, operating approximately 20,000 route miles across 22 states in the Eastern US, and the District of Columbia. Its busy and award-wining media department, located at its Training Center in McDonough, Georgia, produces a wide variety of corporate and promotional projects, with CatDV asset management facilitating a fast and streamlined production and post-production workflow. 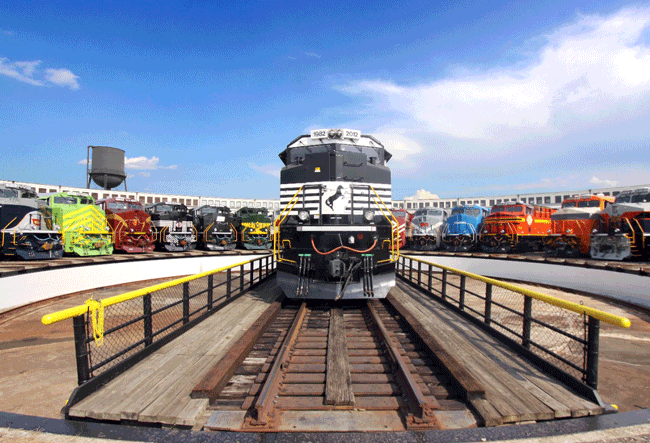 Norfolk Southern serves every major container port in the eastern US, as well as providing efficient connections to other rail carriers. It is a major transporter of coal, wood, consumer goods, grain and cars, to name just a few staples of human existence that pass through its system on any given day. The company operates a full-service production facility, which turns out close to 150 programs a year. 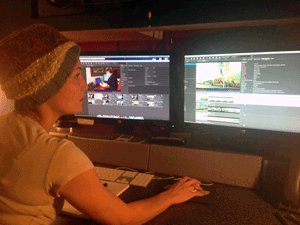 It works on a wide variety of projects – safety messages, training and educational programs, music videos, commercials – and has won numerous Telly Awards for its work. The facilities include a broadcast-ready studio with NewTek TriCaster, plus an internal television station (NSTV), with five edit suites using Final Cut Pro and Adobe Premiere, three camera/lighting/sound packages, extensive legacy equipment in a range of HD formats, with CatDV Enterprise and WebClient software to manage the assets. “We have literally, tens of thousands of assets that have accumulated over many years,” says Tripp. “Before we introduced CatDV in 2010 our asset management process came down to careful tape labelling, paper logs, and a database in Access and then Excel. It fulfilled our general need to select and retrieve digital assets, and whilst we got through, we knew we really needed to find a much more efficient way to keep ourselves organized. Tripp says that friends at NASCAR introduced her and the team at Norfolk Southern to the capabilities of the CatDV program, and that a purchase quickly followed. “I hate to say it, but I’m not sure we ever thoroughly investigated any other options, and with hindsight I’m not sure we would have needed to, as CatDV has been excellent,” she admits. 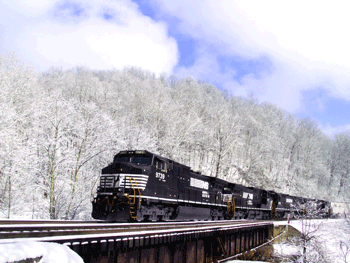 Today, Norfolk Southern manages its considerable stockpile of assets using ten seats of CatDVPro Enterprise Edition and five CatDV WebClient seats. Its CatDV systems run across both Mac and PC workstations, and are connected to a 36TB SAN Facilis Terrablock via Fiber and GB Ethernet, giving the production and editorial teams full access to RAW camera footage and the full media library. CatDV is also attached, via the server, to a NewTek TriCaster live production system in the studio area. An off-site back-up of the server is controlled by the company’s IT department. Rail images courtesy Norfolk Southern.